An Old Shenzhener once complained to me that since the 1989 Crackdown, in Shenzhen “reform” has been too often interpreted to mean “refining the state system”, rather than actually reforming society. His point was simple. During the first decade of Reform, people had an opportunity to participate in and even direct the direction of development in Shenzhen. The fact of widespread participation made Shenzhen “special”. In contrast, after June 4th, Shenzhen became increasingly bureaucratized – like Beijing – and participating in social transformation was no longer possible for the common people. Instead, the Government had become the key social force and thus, social agency meant “works under the guidance of government bureaus” for the benefit of government officials and their cronies. The Municipality’s latest “land reform (土改)” program illustrates the problem that aggrieved my friend. Last week, the government released three documents that legislate the scope and direction of land reform: The Comprehensive Plan to Reform Shenzhen Land Administration (深圳市土地管理制度改革总体方案), The Immediate Short Term Plan (2012-2015) of the Comprehensive Plan to Reform Shenzhen Land Administration, (〈深圳市土地管理制度改革总体方案〉近期实施方案(2012～2015年), and Notification of the Establishment of the Shenzhen Land Administration Reform Guiding Committee (关于成立深圳市土地管理制度改革领导小组的通知). Together these documents determine the target of reform, the method of reform, and the people who will interpret and implement land reform. Moreover, even a cursory reading the documents indicates that at stake in these documents is (1) finalizing the transfer of outstanding land rights from village holdings to the Municipality and (2) determining the status of informal property rights in urban villages so that (3) developers can more easily realize the goals outlined in the Municipality’s Comprehensive Master Plan, 2010-2020. And there’s the rub: During the 1980s, villagers and various entrepreneurs collaborated to build the urban villages. My friend understood this situation be “true” or “ideal” reform because ordinary people could realize projects outside the purview of government plans. At the time, none of those projects were “informal” or “illegal” because the villages held legal land rights. He also thought that this freedom to develop land was the precondition for true social reform. He didn’t think that all villages had done a good job with the opportunity, but nevertheless believed that the idea of small-scale development and common participation was the point of reform. However, once the villages had been incorporated into the Municipal apparatus, that first round of development could be reinterpreted in terms of illegal buildings and informal property rights, alienating villagers and unofficial developers from participating in future development projects except as recipients of compensation packages. Shenzhen property rights are a muddle that the Government needs to handle carefully to avoid aggravating extant (and growing) inequality. On the one hand, by incorporating village lands into the state apparatus and compensating villagers and independent landlords for their extant holdings, the Government creates ill will on two counts. First, people without hereditary land rights or informal property rights have no chance to benefit from this process. Second, with the exception of farmers, the process enriches government officials and corporate executives, which is the common sense definition of “corruption”. On the one hand, if the government were to reform property laws to allow for individuals to develop land, this would mean completely restructuring the state apparatus and concomitant property rights. This is what my friend would like to see – capitalist opportunities for individuals, rather than for government officials and large corporations. But this seems more a definition of “revolution” than “land reform” as it would mean redistributing rights to high-rises, shopping malls, neighborhoods, housing estates, and industrial areas. 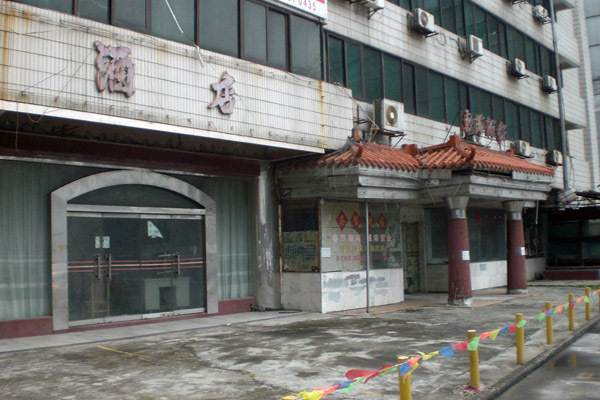 Guanwai village lands were not only extensive, but also remain underdeveloped. Consequently, the experimental target of overall land reform in the 2012-2015 short term plan is Pingshan New District, while the experimental targets of “second round development (第二次开发)” are be Gonghe Community, Shajing Precinct, Baoan and Shanxia Community, Pinghu Precinct, Longgang. This entry was posted in noted and tagged china law, china politics, current-events, gonghe, history, illegal housing, land reform, pingshan new district, politics, rural urbanization, shanxia, shenzhen identity, urban planning, urban village. Bookmark the permalink.